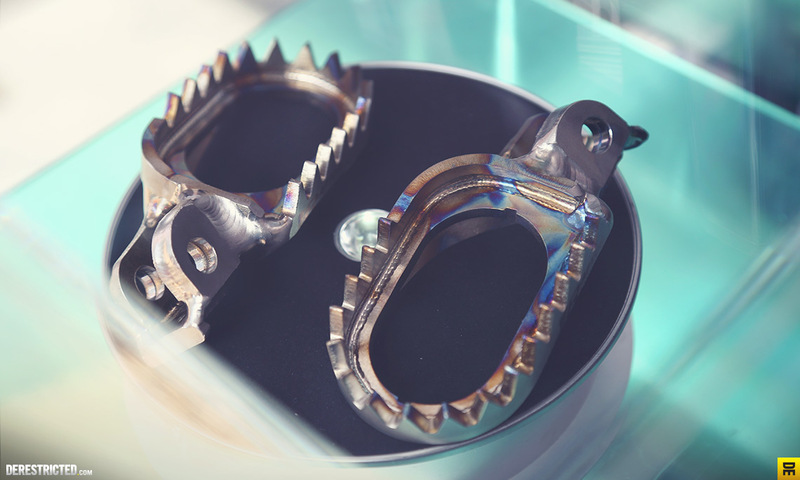 A review of a pair of footpegs should be quite a simple affair, they either work or they dont. They do their job of helping you stay on and control your bike or they dont. 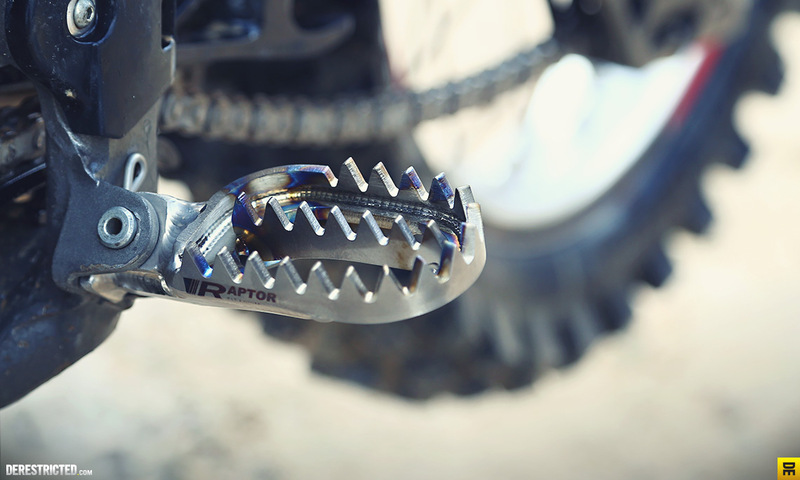 But Raptor footpegs are not really just your run of the mill pair of footpegs. After about 30 hours on my pair, I can’t praise them highly enough. 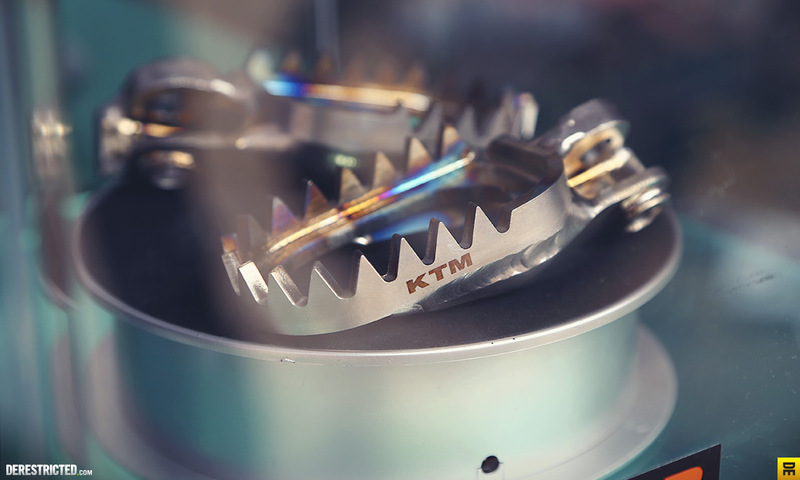 They are made out of hand-fabricated aerospace-grade titanium for a start, which means they are exceptionally strong and are also immune to corrosion. They are also Ultra light-weight coming in at only 410g per set. 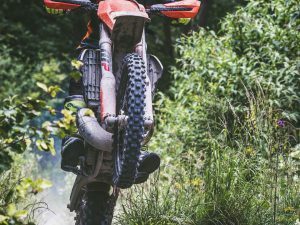 They come in various guises, Motocross, Enduro, Supermoto and trials. I got a pair of the motocross ones, which I used for both MX and Enduro and was super impressed with the improvement in grip from the stock pegs. 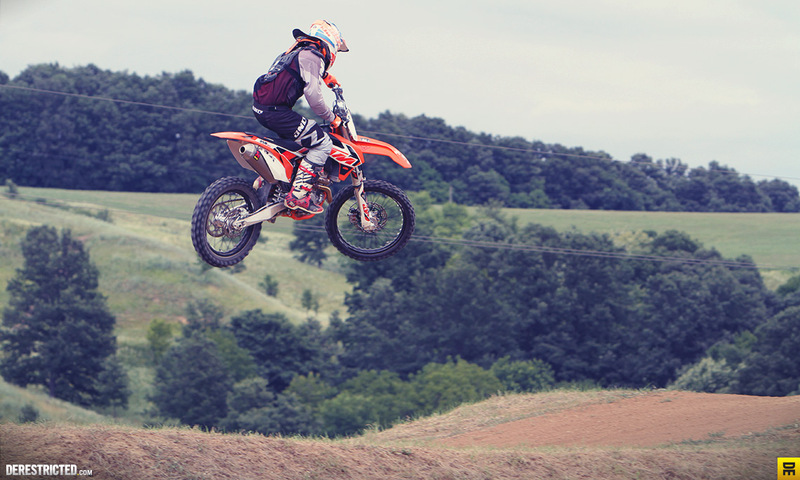 When you are on the gas, you can be sure your feet will stay where you want them! The middle bar is slightly raised helping you to pivot your foot to shift and brake. 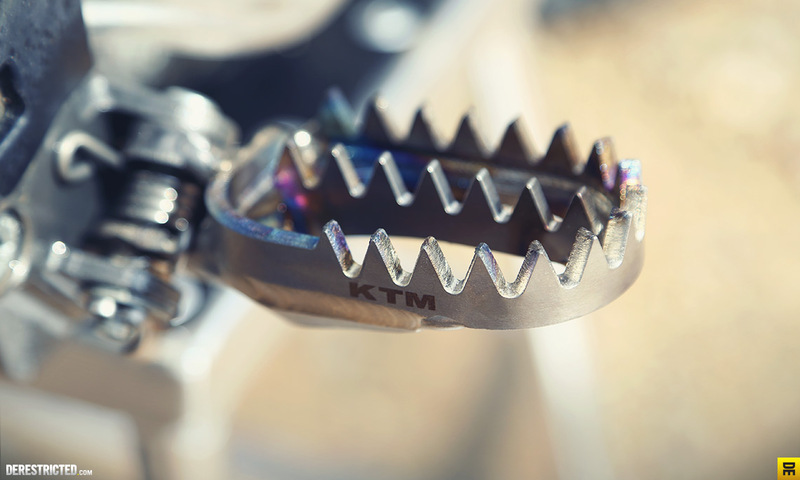 The motocross model comes in a 24 tooth design with 3 Rows of teeth on a wider platform (57mm) offering a greater surface area. 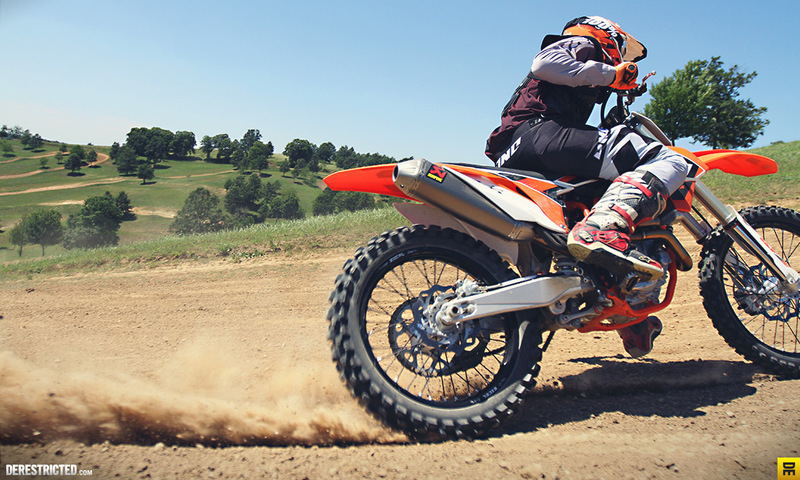 As used by Jason Anderson of Rockstar Energy Factory Racing KTM to clinch the 2014 West Coast 250SX Championship. 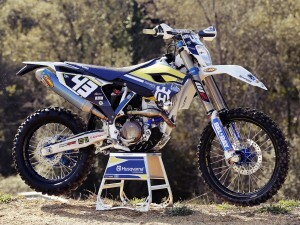 All of the KTM and Husqvarna Factory riders use the footpegs, as does pretty much every other top team. For good reason. Ultra light-weight at only 410g per set. Hand-fabricated in the uk using aerospace-grade titanium. 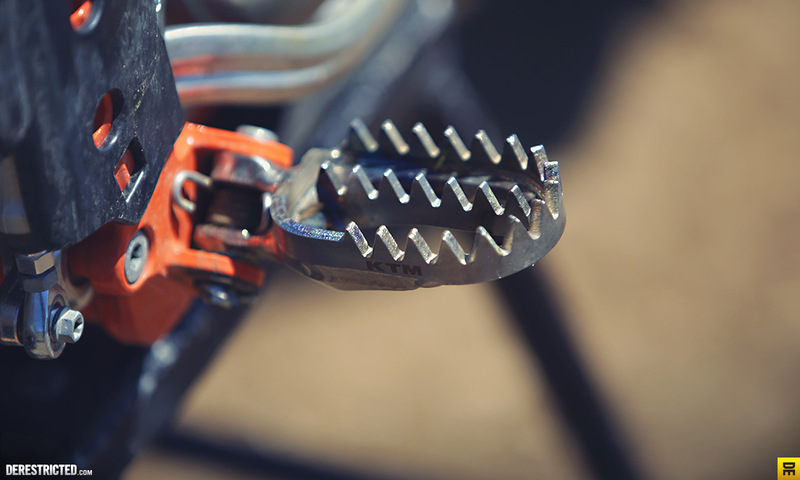 The best gripping footpegs in the world, bar none. Anti-clog design is resistent to mud clogging. Range of different positioning options to fit different sizes and preferences. They are sharp so yes they do wear your boots down a little faster, but this is just them doing their job; gripping your boots. 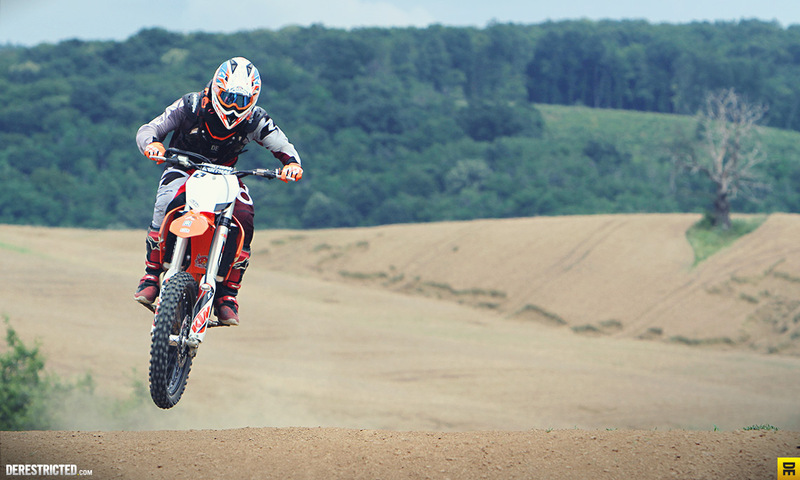 The pair below are the enduro model without the middle bar, favored by Jonny Walker and Graham Jarvis. I could imagine they work just as well for MX too. You can customize the pegs to your liking, having them further back and down in a range of options as well as having custom lazer etching done. All of these options are easy to chose through the raptor titanium website here when you order a pair, so go check them out. Footpegs don’t get any better than this. 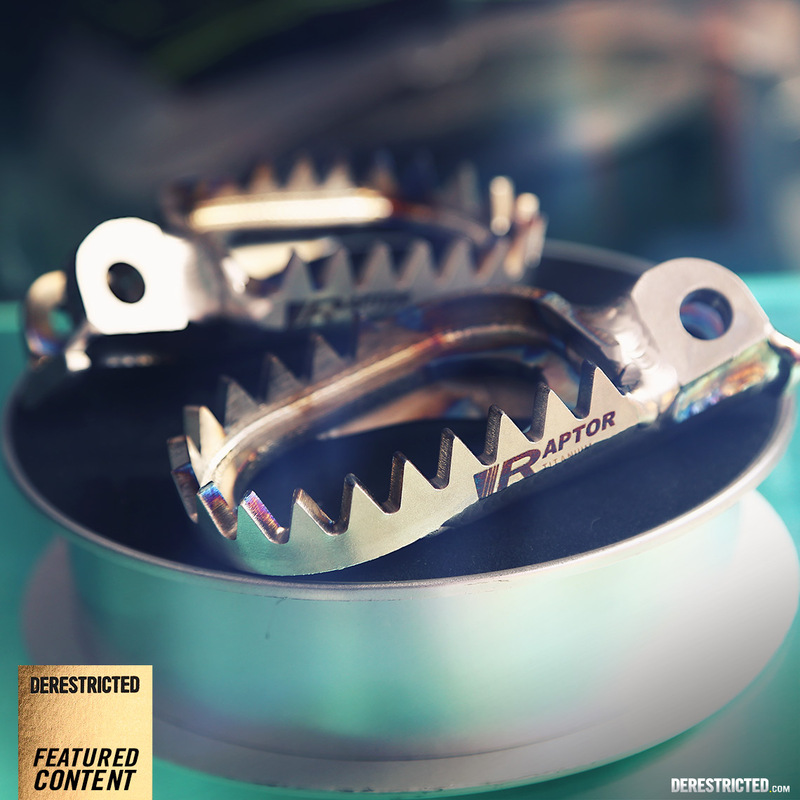 Give them a follow on the Raptor Titanium Facebook page here. Still photos by PSP. 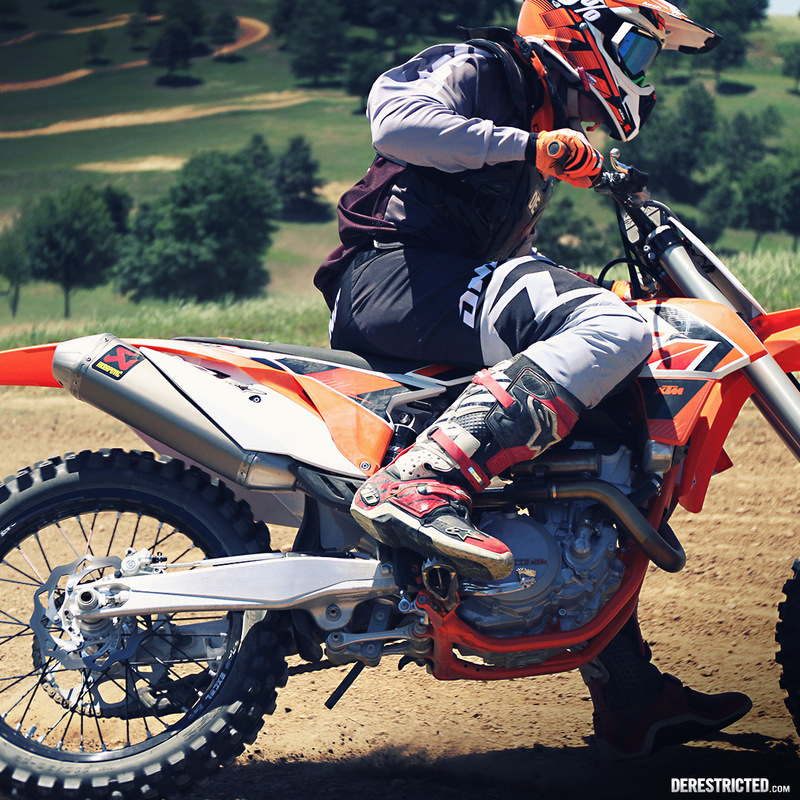 Action Photos by LSP with PSP riding the 2015 350 SX-F.